These Copy Cat PF Changs Healthy Chicken Lettuce Wraps are a healthier version of the popular restaurant favorite that you can make easily at home in just minutes! 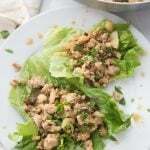 With lots of lean protein and veggies, these Healthy Chicken Lettuce wraps are perfect for the 21 Day Fix, 2B Mindset, and Weight Watchers. Gluten and Dairy Free, too! I’m having a moment here with lettuce wraps. Last week I published my Instant Pot Asian Flank Steak Wraps, but this week I have another treat for you. Do I sound crazy calling Lettuce Wraps a treat? 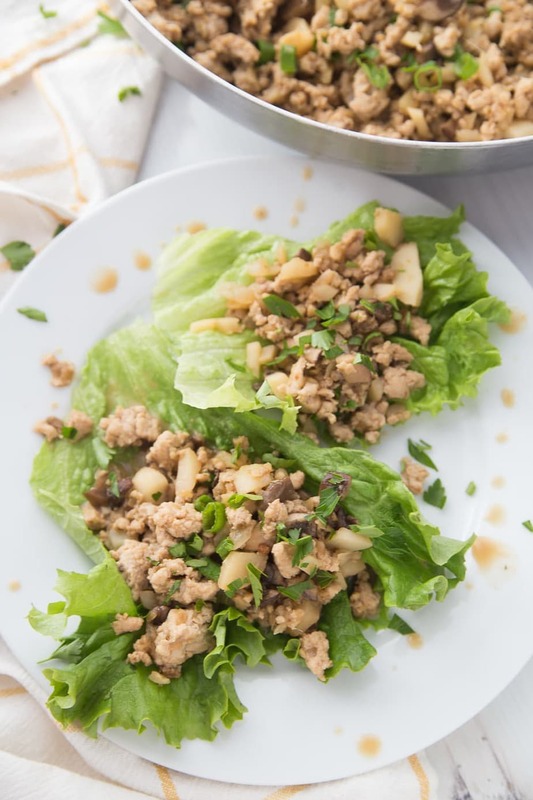 These Healthy Chicken Lettuce Wraps are like a healthier and so super delicious version of my favorite PF Changs Lettuce Wraps. You’re listening now, aren’t you? 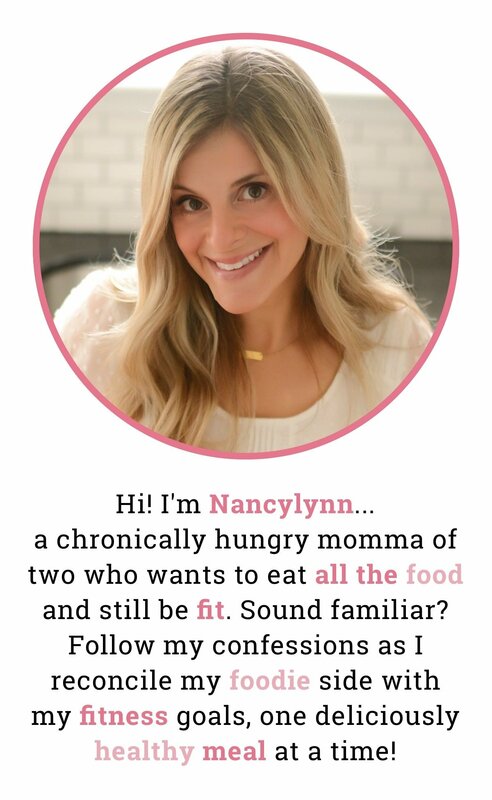 Because anyone who has had a PF Changs Chicken Lettuce Wrap knows that being able to make a healthy version at home is a freaking dream come true. I know I can’t be the only one whose big dreams include delicious appetizers, right? While I absolutely LOVE (and dream about) PF Chang’s version of these Chicken Lettuce Wraps, their stats are rough. And hard to forget once you see them. At almost 700 calories per serving, the restaurant lettuce wraps also contain almost 2000mg of sodium, 27 grams of fat, and 28 grams of sugar per serving. And while I’d like to say I order these as a dinner, they tend to just be an app for me! 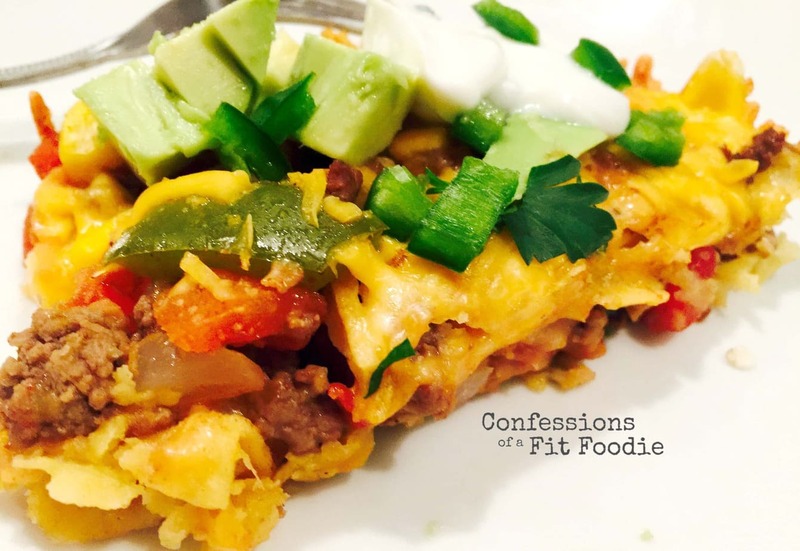 My version clocks in with less than HALF the amount of calories per serving and it’s chock full of veggies and lean protein instead of carbs and sugar. There are 2 cups of veggies in the meat mixture alone, without counting the actual lettuce wrap. 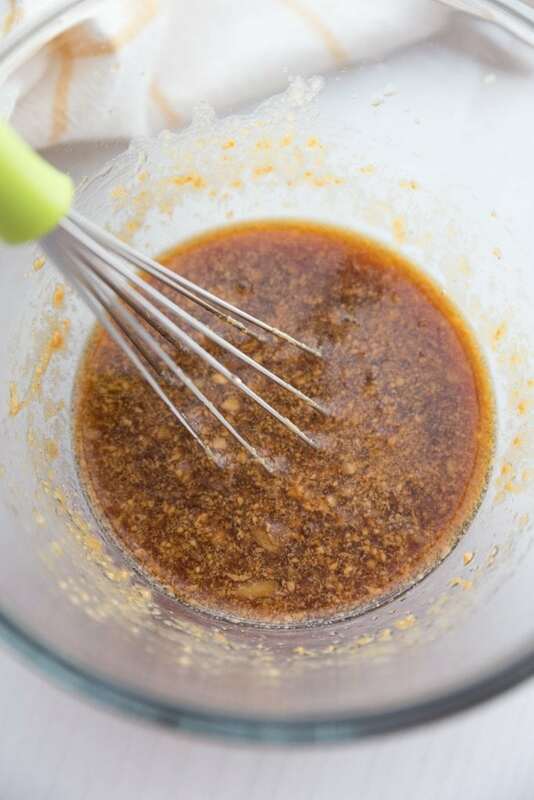 And there is only 1 tablespoon of maple syrup in this deliciously savory sauce, which is why my version has about a third of the amount of sugar, and most of that comes from natural sources like the onion and the coconut sap in the coconut aminos. And speaking of coconut aminos, because of this healthy soy sauce sub, the sodium in this recipe is 1/5 of what it is at you know where. And in case you aren’t a numbers person and you really don’t care about my healthy stats, I need you to know, these lettuce wraps are also LEGIT good. So good, that my husband who reminds me ANY chance he can that he hates water chestnuts, ate three servings, water chestnuts and all. To think, I was going to offer to make them without water chestnuts for him next time??? Anyway, here is a quick video so you can see how easy and quick these Healthy Lettuce Wraps are to make! Hoisin sauce is found in most copy cat PF Chang Chicken Lettuce Wraps, but it contains a lot of sugar and isn’t considered a FIX approved ingredient. 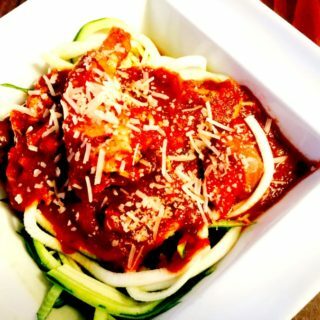 This recipe uses a homemade sauce that skips the premade hoisin sauce, but it’s completely delicious! Are these Copy Cat PF Changs Lettuce Wraps healthy? Yes! 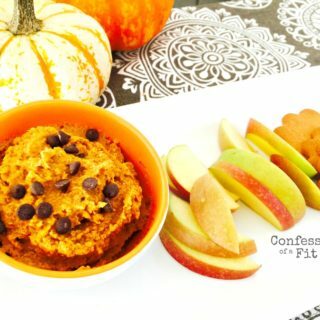 I have made a healthy version of the restaurant favorite that is low in calories, sugar, and filled with lean protein and veggies. It still tastes amazing, though, and will fill your take out craving! Coconut Aminos is my favorite gluten-free soy sauce substitute. Unlike heavily processed soy sauce, Coconut Aminos is made simply with two ingredients: coconut sap and sea salt. Coconut Aminos is gluten-free, non-GMO, certified organic, soy-free, MSG-free, kosher and vegan and offers much of the same nutritional benefit as coconut. This is my favorite brand of Coconut Aminos (affiliate!). You can get it on Amazon if you can’t find it in your store. 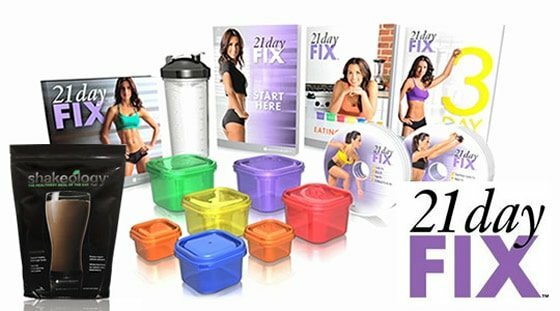 Why do these 21 Day Fix Chicken Lettuce Wraps now count as 1/2 yellow? The Ultimate Portion Fix was just released and counts water chestnuts as a yellow, when they were originally thought to be a green. So I changed the amount to half a can to keep the yellow count to a half. If you want this to be a no yellow meal, you can omit the water chestnuts and add some cabbage and/or shredded carrots to up your veggie count even more! 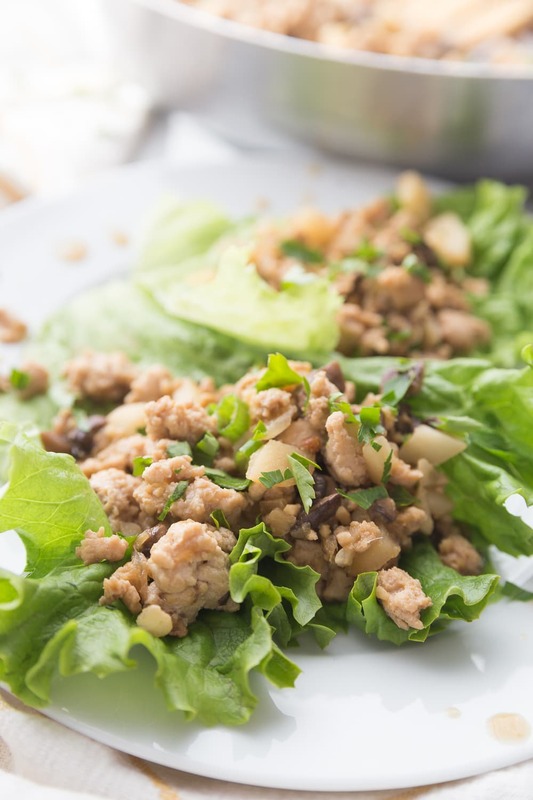 These Healthy Chicken Lettuce Wraps are a healthy copycat recipe that you can make easily at home in just minutes! 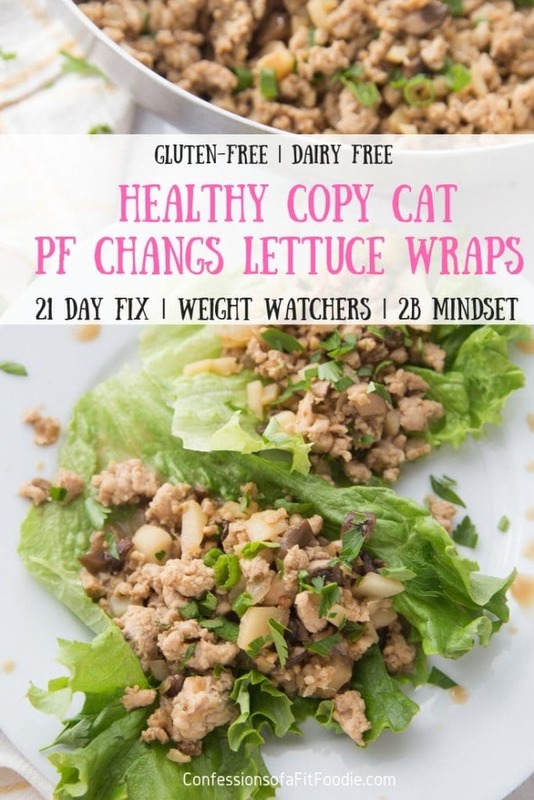 With lots of lean protein and veggies, these Healthy Chicken Lettuce wraps are perfect for the 21 Day Fix, 2B Mindset, and Weight Watchers. Gluten and Dairy Free, too! Add olive oil to your pan. Saute onions until translucent and fragrant. Add in ground chicken and cook through. 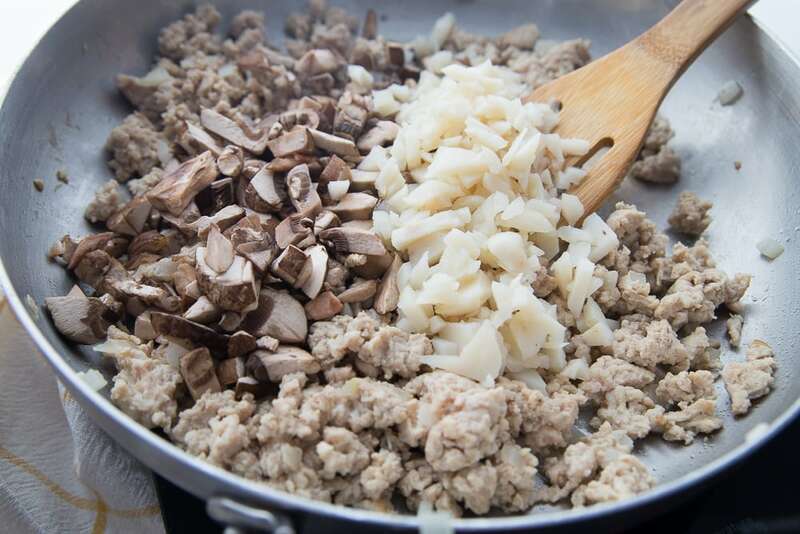 Next, add in garlic, mushrooms, and water chestnuts and cook for several more minutes until mushrooms are tender. Add in sauce. Cook for 2-3 minutes. Garnish pan with green onions, cilantro, and more fresh ginger to taste (if desired). 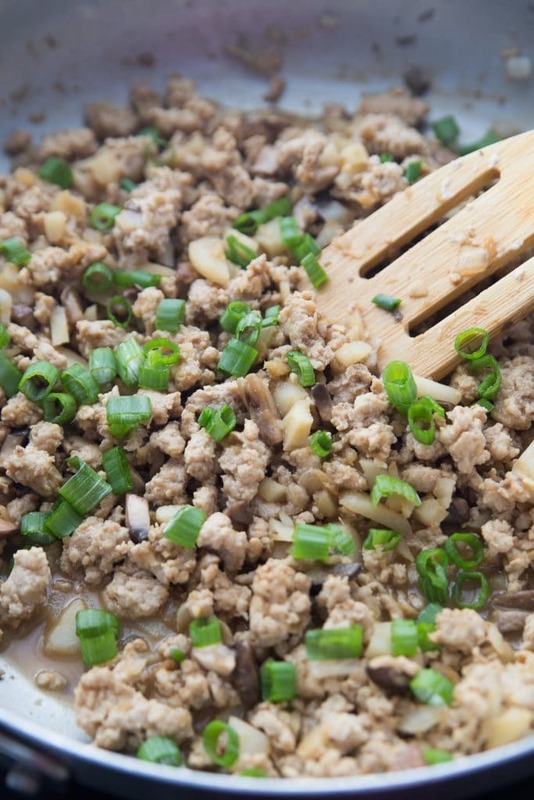 Scoop meat mixture and sauce together and place on lettuce wraps! 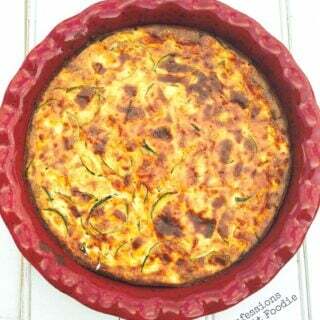 Top with chili paste for a little extra kick! I seem to be missing the amount and type of chicken needed. Yum! I love your Asian recipes! Maybe I am calculating it wrong… but if a yellow container=3/4c, and 1 8oz can of water chestnuts is 1/2 cup when drained, wouldn’t a single serving of this AMAZING recipe have less than 1/8 of a yellow even if you use a full 8oz can of water chestnuts? Hi! Yes- did you measure and get 1/2 cup? I could swear I got more, but lately I’ve just been leaving them out. That would be amazing!